WELCOME HOME... To Miramar Links at Lakewood Ranch! 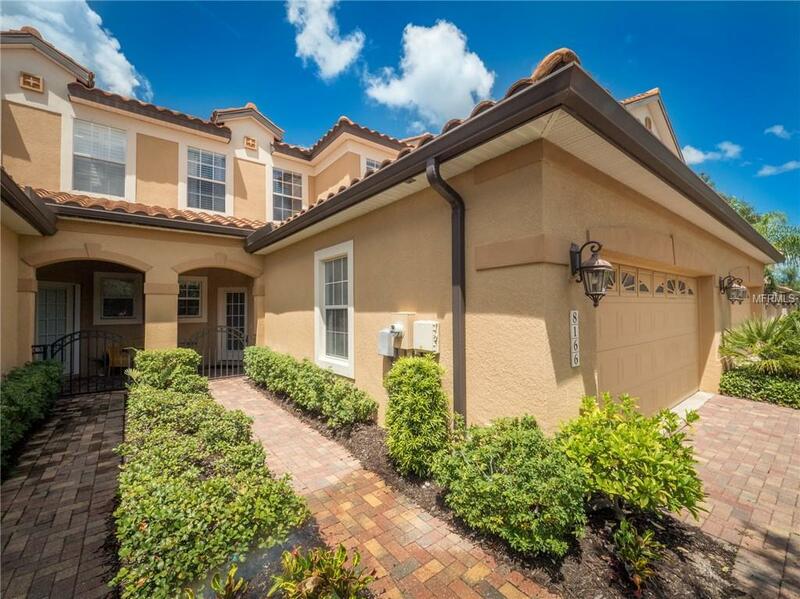 This wonderful gated community offers maintenance-free living at it's very best. Built NEW in 2012, this stunning home has upgrades & custom features throughout! Walking in you are immediately greeted by a gourmet kitchen w granite counters, SS appliances, and subway tile backsplash. Large walk-in pantry. Views of Legacy Golf Course from every room! FIRST FLOOR MASTER SUITE features dual walk-in closets, dual sinks, and a spacious walk-in shower w custom tile. Wainscoting, Crown Molding & built-ins in the living area are sure to impress! Enjoy the warm Florida breeze from your covered screened lanai--unbelievable sunsets too! Upstairs you'll find a spacious bonus room with custom wine bar, 2 king size bedrooms, a full bath, and a HUGE storage closet. Mrs. Clean lives here, this home is spotless! Well maintained grounds with abundant natural wildlife. Miramar is amenity rich with a community clubhouse, fitness center, large resort-style heated pool and spa, tiki bar, gazebos and outdoor kitchen and BBQ area. The perfect spot to socialize with friends and family! Conveniently located near I-75, UTC Mall, Lakewood Ranch Mainstreet with restaurants, movie theater, shopping & entertainment events. You deserve YOUR HOME IN PARADISE!! Furnishings Optional. Listing provided courtesy of Forbes Property Group.